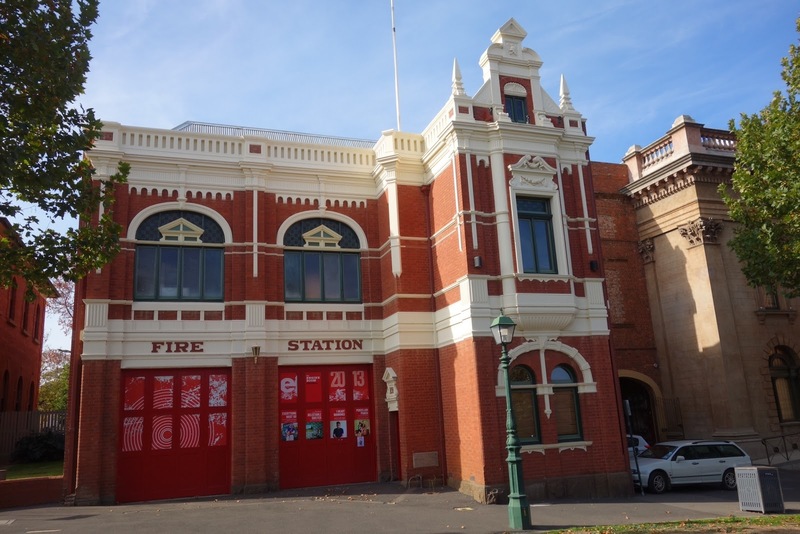 This entry was posted on October 23, 2014 by Tinteán Editorial Team/EMcK, in History, Of Musical interest, Popular Culture, Theatre review and tagged Bendigo Legacy Foundatiion, CVIA, Ireland and the First World War, Irish ANZACS, musical evening, World War I. Bookmark the permalink. 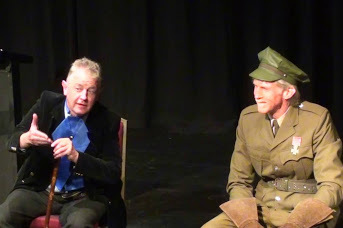 The event was titled ‘A Long Way to Tipperary’, and was presented in Bendigo by the Central Victorian Irish Association (CVIA) in September this year. A description of the content and the nature of this concert was published in Tinteán in advance of the event. The prose readings were selected from Sebastian Barry’s powerful novel ‘A Long Long Way,’ while the most memorable passages of poetry were those by Francis Ledwidge, Ireland’s greatest war poet; a Meath man who was killed in the battle of Passchendaele, 1917. 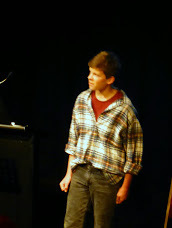 Most of the singers were accompanied on the piano by John Clancy, director of the concert, writer of the narrative, and composer of two of the songs. 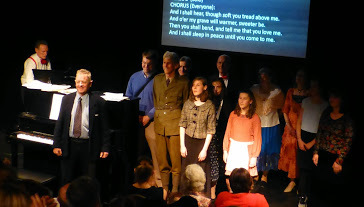 The audience became involved in singing some of the famous World War I songs, and the whole concert ended with the full company singing ‘Non Nobis, Domine’ by Patrick Doyle, followed of course by ‘Danny Boy’. Probably the most moving part of the event were the images of the ‘Postcards from the Front’ which had been generously supplied exclusively to the CVIA by the Dublin City Archives. A representative from the Bendigo Legacy Foundation read a very moving tribute to the Irish ANZACS. This honoured the 7000 Irish born men, and some women, who had joined the AIF from Australia during the Great War. John Clancy is due to present a Paper on this little known subject at Newman College, University of Melbourne, on Tuesday 11th November at 6 pm. A donation was made from the profits of the concert to the Legacy Foundation. 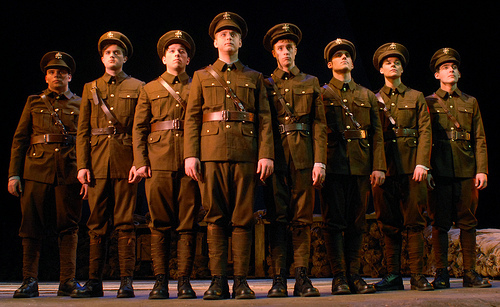 In summation, ‘A Long Way to Tipperary’ proved itself a most fitting tribute to the 200,000 Irish men and women who served in the Great War, with 50,000 (one in every four) of them making the supreme sacrifice. 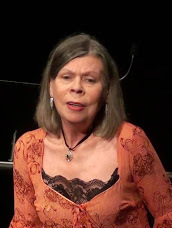 Carolyn Vaughan represents the Irish soprano Margaret Burke Sheridan. The full company sings the finale.